In an effort to end days of cabinet infighting that seemed to give way for a more relaxed Brexit approach, British prime minister Theresa May on Monday (31 July) made it clear that free movement will end in March 2019, when the UK leaves the EU. “Free movement will end in March 2019,” May’s spokesperson told reporters in London. “Other elements of the post-Brexit immigration system will be brought forward in due course. It would be wrong to speculate on what these might look like, or to suggest that free movement will continue as it is now,” the spokesman added. 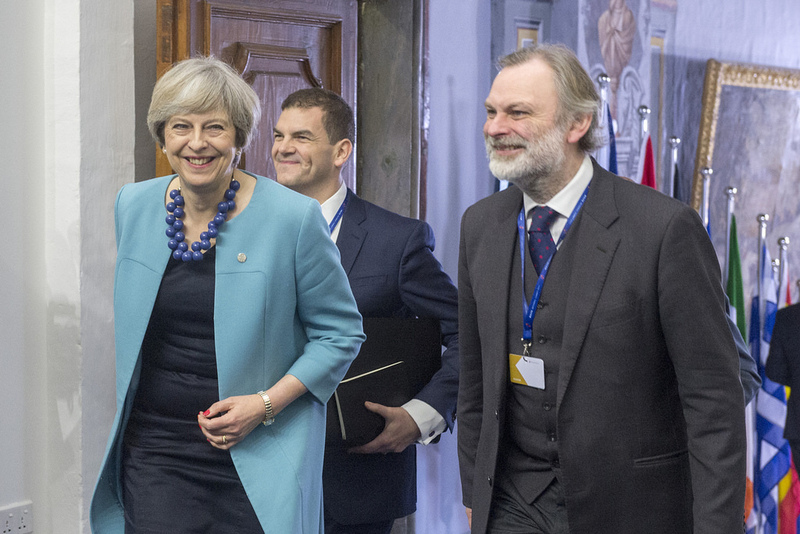 In the past few days, May's ministers gave conflicting views about what Brexit would look like, with finance minister Philip Hammond suggesting last week that there would be no immediate change to the immigration rules in the UK after Brexit. Hammond has suggested that a two or three year-long transition period would follow Brexit, with most of the EU rights and obligations continuing in the UK, mirroring the non-EU arrangements carved out by, for instance, Norway or Switzerland. Norway, along with Iceland and Lichtenstein, is part of the European Economic Area (EEA), which extends the EU’s internal market. It provides for the free movement of people, goods, services and capital, without having to be a member of the EU. 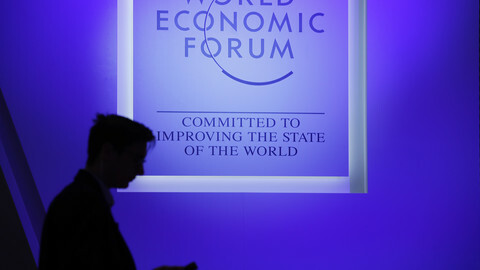 Switzerland, which not a member of the EEA, is, however, part of the EU's free trade area (EFTA). Downing Street now seems to contradict Hammond, who has been pushing for a softer Brexit, against May’s hard Brexit scenario. "There were reports last week that we were looking for an off-the-shelf model, we are not looking for an off-the-shelf model. Precisely what the implementation model will look like is up for negotiation,” the PM’s spokesman said, according to Guardian. 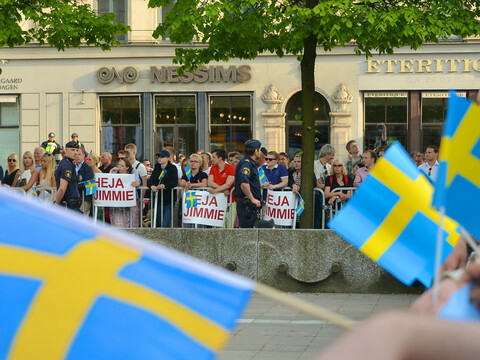 An off-the-shelf model refers to a pre-existing EU arrangement, like Norway has. Hammond – whose cabinet position was solidified after May lost her majority in parliament after June’s general election – has been pushing for a simple transitional deal out of concern that negotiations in the 2-year time-frame, provided by Article 50, cannot produce a comprehensive transitional deal. Hammond’s transition arrangement would have included free movement, access to the single market and customs union. He told the BBC recently that there is consensus in the cabinet about a simple transitional deal, and that “many things will look similar” the day after Brexit for a period of time. "I think there is a broad consensus that this process has to be completed by the scheduled time of the next general election, which is in June 2022, so a period of – at the most – three years, in order to put these new arrangements in place and move us on a steady path without cliff edges ... to the new long-term relationship with the European Union,” Hammond said. "During the transition period that will follow our departure from the European Union, European citizens will still be able to come here, but they will have to register," he added. But despite Downing street’s latest comments that free movement will end in 2019, the UK’s own position paper on citizens’ rights foresees a two-year "grace period of blanket permission”. "Those who wish to remain in the UK beyond this point will have to apply to the Home Office for their individual permission, before the period of blanket permission expires,” the UK’s position paper says. Hammond has clashed with ministers before on the issue of a transitional deal. Brexit minister David Davis hit back, however, telling another crowd the same day in London that the UK would be fully outside of the customs union and single market by March 2019. As May’s government has been weakened in the recent election, and Brexit negotiations enter their substantial phase, differences among leading British politicians have been emerging on what sort of Brexit would be best. Home affairs minister Amber Rudd said here would be no "cliff edge” for leaving the EU, saying free movement would end in 2019, but that EU citizens will still be allowed to come to the UK to live and work after Brexit – as long as they register. Trade minister Liam Fox said, however, that allowing free movement after Brexit would not "keep faith" in the referendum. Controlling migration was one of the key driving forces behind the Brexit vote last year. 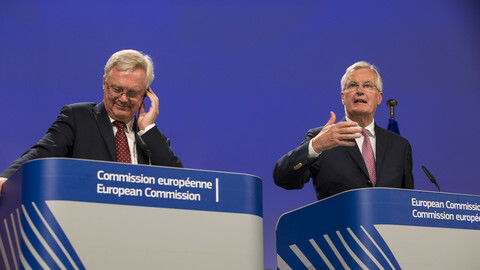 The second round of negotiations in July yielded few concrete results, with the EU’s chief negotiator, Michel Barnier, telling envoys of member states that the self-imposed timeline to reach sufficient progress on a divorce deal by October cannot be maintained if the UK does not come up with more policy positions. The EU is only willing to begin talks on the future relationship with the UK once the divorce talks have reached “sufficient progress”. An EU official, who spoke to EUobserver on condition of anonymity, said that Hammond’s scenario for a simple transitional deal, which would include the main elements of the existing relationship, would give more time for the UK to negotiate the future relationship with the EU. It would also mean that the UK would have to pay less at the divorce, since it would continue to contribute to the EU budget as a part of a Norway-style arrangement. The UK government has announced it will commission a study to determine the role of EU migrants in the economy. The report is expected for September 2018. Opposition MPs criticised the timing. Originally, a transitional deal to soften the UK's exit from the EU was seen as a no-go on the British side, but now it is seeming more and more likely. 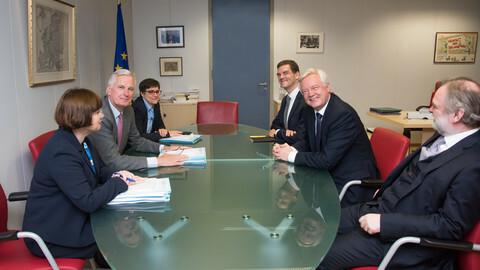 EU and UK negotiators presented their Brexit positions to identify common grounds this week, but that was made difficult by the scarcity of UK position papers. 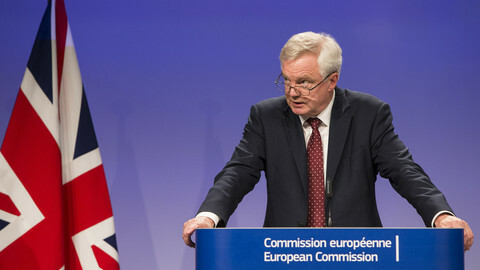 British and EU negotiators launched the first substantive round of negotiations on Brexit on Monday, with the UK still ambiguous about its position on the issue of financial settlement. 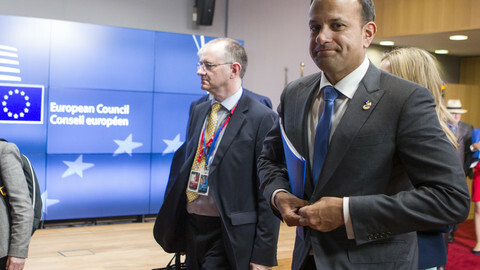 Leo Varadker said that a custom agreement with a transition period after the UK leaves the EU is a solution for keeping an economic open border between Ireland and Northern Ireland.